In recent times, you might have heard the word calisthenics as a popular way of exercising. Actually, this is an exercise technique which is based on body movements that are often rhythmical. However, what makes calisthenics exercise different from body building, for example, is the fact that with this type of workout you are not using any equipment or tools, but you are rather relying on your own body mass. We will take a look at the world’s best calisthenics masters in our top 10 calisthenics athletes countdown. 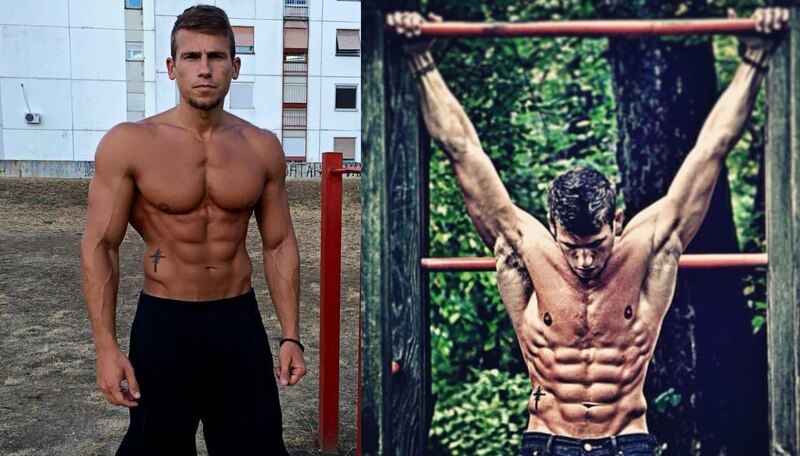 The first person who found their way on our list of top 10 calisthenics athletes is the 25-years old Serbian athlete Lazar Novovic. Lazar earned respect among the greatest calisthenics masters back in 2011, when he published the exercise video called “Go Hard or Go Home” after founding Bar Brothers together with Dusan Djolevic. The video reached over 19 million views on YouTube, launching Bar Brothers as a top calisthenics exercise YouTube channel. Today, Bar Brother has over 410,000 YouTube subscribers and 300,000 followers on Instagram. One of the greatest calisthenics masters known for his motivational work is Frank Medrano. With his YouTube videos, he has inspired many people to fulfil their fitness goals using calisthenics. His main aim is helping others live healthier. The U.S. based athlete offers various training regimes depending on the level of exercise, starting with beginners, intermediates, as well as advanced routines. He is one of the most famous calisthenics masters on social media with over 4.5M Facebook fans, 690K YouTube subscribers and 600K followers on Instagram.